This topic contains 3 replies, has 4 voices, and was last updated by User Deleted 4 years, 10 months ago. I am a pisces woman who was with a Virgo partner for 2 1/2 years went to his home land to marry relationship just dissolved found out he was living this complete other life yet still asked me to marry him then when we broke up its was as if he blamed me go figure ? 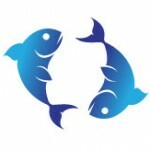 Pisces and Scorpios have better relationships then most other zodiacs.